First off, thanks for the support on yesterday's post. Y'all are amazing. Seriously. Now back to the fun! One of the easiest ways to get some volume is to use a volumizing hair powder, like Not Your Mother's Girl Powder. NYM sent this to me and I love it! The bottle feels very light, but there's plenty of product inside. 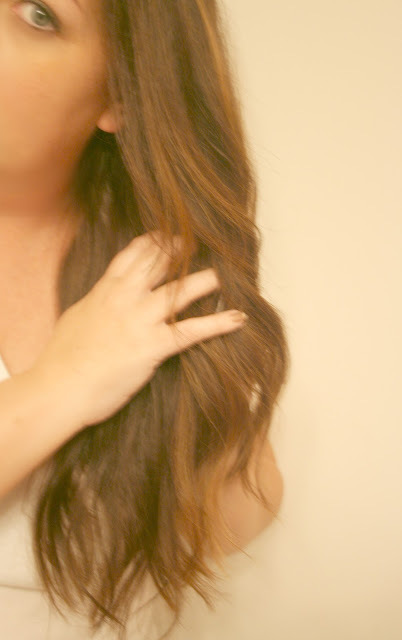 Basically, you tap the powder on your dry roots and then rub your scalp for instant volume. You can also pour a little into your palm, rub palms together and distribute through roots and rub to get volume. This isn't a dry shampoo or like baby powder--it's for volume. And it works. Another way I love to use Girl Powder is to change the look and texture of hair, giving it a tousled, bedhead look. I pour a little in my palms, and rub together (it will disappear but product will still be on your hands) and distribute through my hair. I do a bit of a scrunching motion, too. Instant fullness! 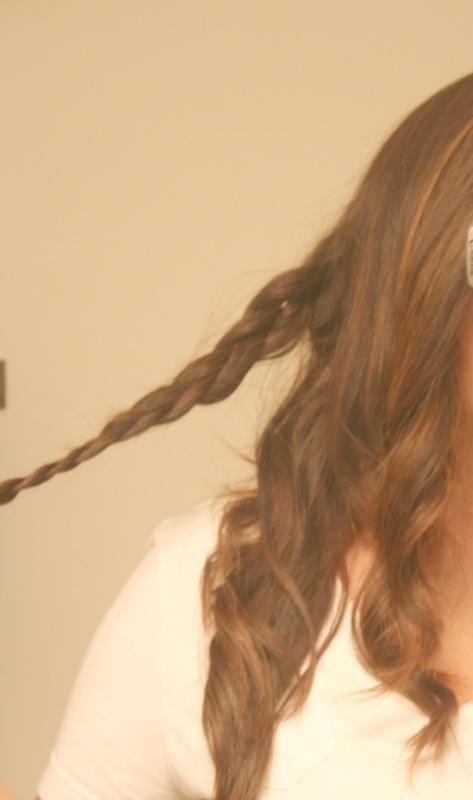 Braid your hair and it will look bigger. 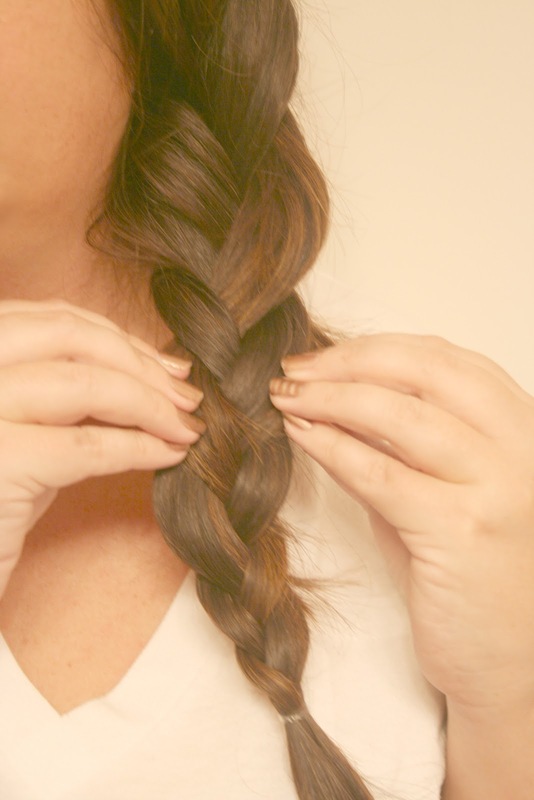 To "fatten" the braid, pull out sections of the braids a little with fingers. 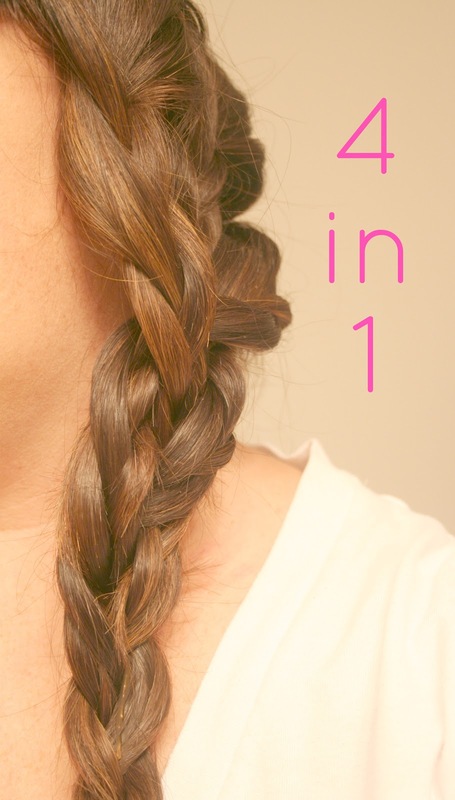 Separate hair into 3 sections, just like a regular braid. Take the middle section and braid it. 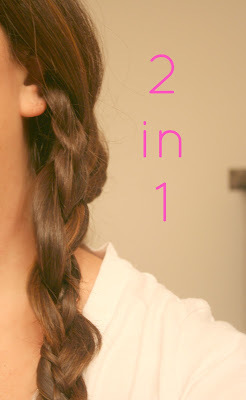 Divide hair into 3 sections. Braid each section, so now you have 3 braided sections. Feel free to use the Girl Powder on all of these braids to make them look bigger. While I shared these braids as no-heat, I've found that by having my hair curled or in waves makes my braid bigger as well. If your hair is layered, like mine, insert bobby pins for those stray hairs, or let them run free. Commenters: Do you miss the popup window for commenting? these are such fun tips! i like the look of bigger hair when wearing braids. I've heard great things about NYM. I definitely need to look into seeing if I can get their products here. Gosh....that 4-in-1 braid looks sooooo good, Elle! Will give this a try soon. Thanks for the tips - I am going to try them out this weekend! I really want to try the 4 in 1! :) So cute! The braids look awesome Elle. Will be checking out NYM and how I could get it if it's not available in Dubai. Mine still won't do that. Grr, my hair needs to grow out now! 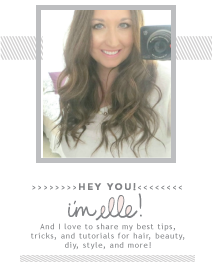 I love volumizing hair powder and never actually believed it until I tried a bottle! Cute look! I love braids! In response to your question, I'm happy with or without the comment popup, since I read tons of blogs that either have it or don't. So, I'd say to just go with whichever way you personally like best. I'm trying all your tricks- I could do with some help in the hair dep. Also, hair powder has to be the best hair-related invention of all time. I swear by it- never tried this one! another set of great tips. I'll have to try this bigger braid thing out. My hair is so fine and limp, I need all the extra volume I can get. I love any volumizing powder! Fabulous, big braid! i've been experimenting with all kinds of braids lately as my daughter has been asking me to braid her hair these days. great tips! Love the 4 in 1 braid–so divine! 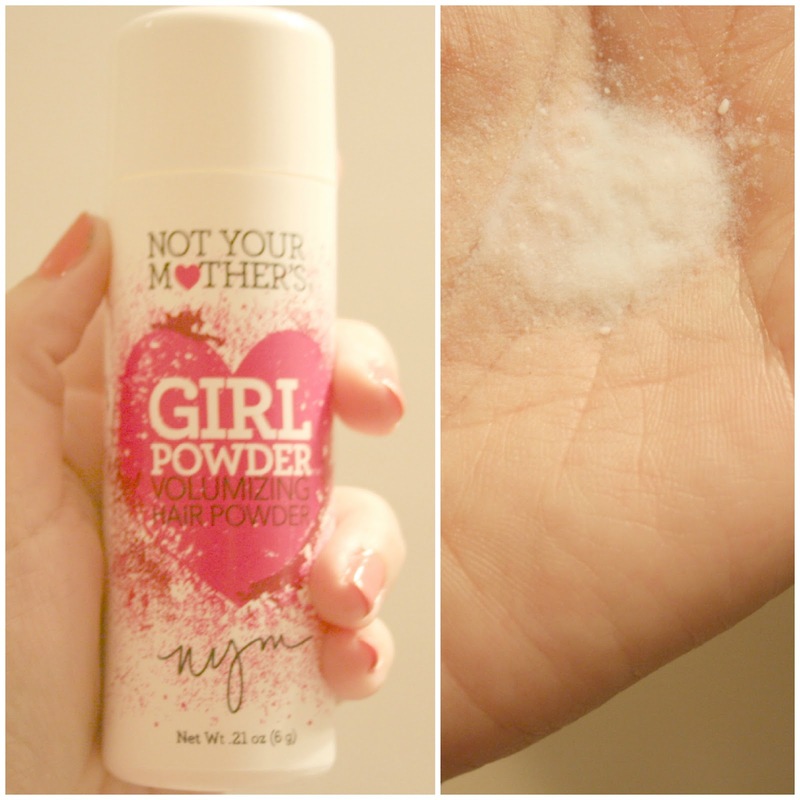 I so need the Girl Powder, don't think its sold here, I must try this idea for summer! 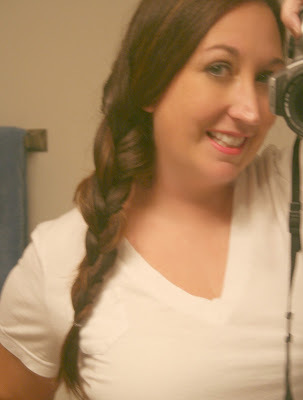 The triple braid is great! Might need to find some of that powder. yes... i love the pop up window for comment. anyways... this is a great tip! I NEED that girl powder!! Amazing ideas! Great ideas! 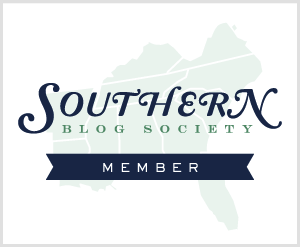 Love your blog new here! Hope you can check out my blog sometime!